As a junior game designer at GlassLab my main role was to look at existing commercial games and modify them for educational purposes to be used in middle school. I have to work with learning and assessment designers to create an experience where students play games that are fun while learning and being assessed. While at GlassLab I have worked on a couple of educational game concepts, FIFA 14 and Minecraft. One of the games that the team I am on (the mod team) decided to look into was Minecraft. Minecraft is one of the most popular games currently out in the market. There is already an EDU version of the game too, which is used in schools worldwide. However, one of the things that the EDU version lacks is the ability to assess the player and provide valuable feedback. As such, GlassLab decided to look into Minecraft and create our own EDU version with me as the game and user experience designer. I had to start off by understanding all the game mechanics and the game user-space. Once I had a firm grasp of the game I created a sandbox space that the team used to give a complex feature demonstration of the capabilities of Minecraft. After researching the visual and UX features available, I helped the learning and assessment designers understand how those features could lend themselves to engaging learning for middle school student users. With the increasing interest in the world cup, GlassLab decided to see how FIFA 14 could be used to help teach at-risk youth. Just like Minecraft I had to start by understanding the game mechanics, the game user space and what we could use in the game to teach. After a lot of research we decided to teach probability and statistics by using FIFA's ultimate team and manager mode. Initial playtests were extremely promising as well. However, due to unforeseen circumstances the project is on hold. 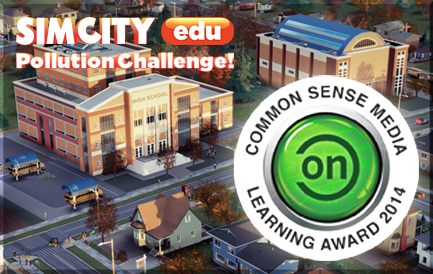 SimCityEDU: Pollution Challenge! is a game-based learning and assessment tool for middle school students covering the Common Core and Next Generation Science Standards. I joined GlassLab when SimCityEDU was close to launch. I helped out with fixing and rebalancing a few missions in the game before it got released. I also worked on concepts for a verison 2 of SimCityEDU.